Going back to the group, we had an awesome time. We were extremely blessed with an incredibly delicious breakfast provided by one of the Moms. Our guest speaker was none other than my best friend Andrea aka Nana (you can read our story here). She shared her “wonderfully made” story with the girls and encouraged them with two great verses: Ephesians 2:10* and 2 Corinthians 12:9*. I asked each guest speaker to prepare an activity and Nana taught the girls how to prepare their own homemade facial/body scrubs. The girls enjoyed that so much. We then dived into our group study. 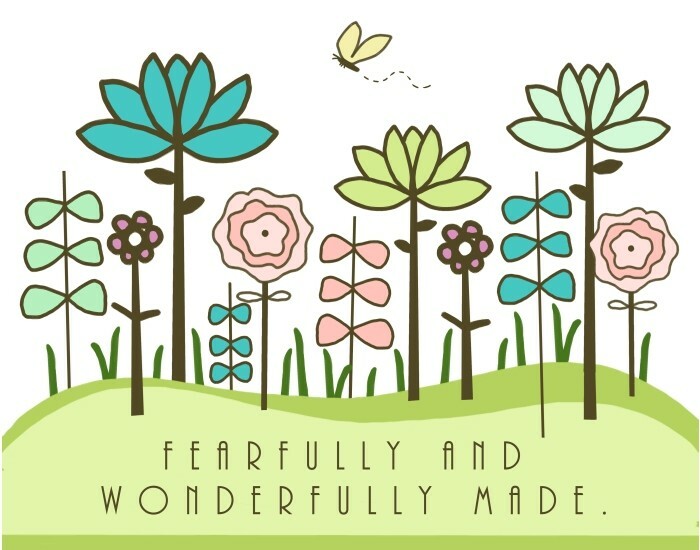 I am in awe of God’s goodness and faithfulness towards us as I read Psalm 139*. Each girl shared what being wonderfully made means to them. It was a time of both boldness and healing as we each shared our weaknesses. It was also a time of refreshing as God’s precious Spirit filled us afresh and anew with the promises found in His word. 1. Play-Doh: to paint the picture that God holds us in His hands, molding us to be all that He created us to be. 2. Gel Eye Mask: (double meaning for this one) A. Incorruptible beauty of a gentle and quiet spirit is produced resting and waiting on the Lord. B. These eye masks can be used either hot to help relax or cold to help refresh but left to be used lukewarm would do absolutely nothing, therefore the application is to be either hot or cold but not lukewarm. Keep praying for these wonderfully made youth girls as they embark on lesson two of their HEAL Journey. Have a beautiful week. Enjoy your life, the abundant life found in Jesus Christ.